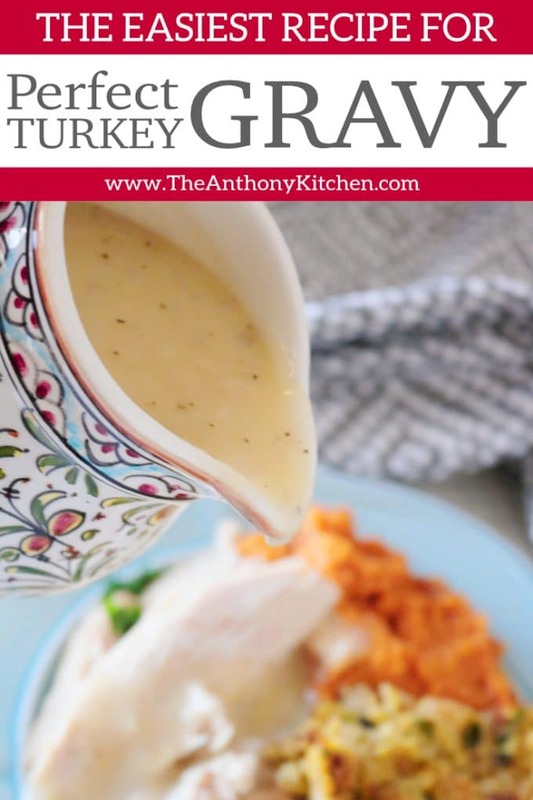 A simple turkey gravy recipe, perfect for whipping up quickly on Thanksgiving day. Butter, flour, broth, salt, and pepper is all you need! 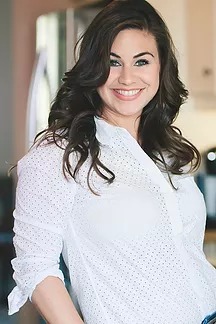 When I think back to the many Thanksgiving days spent at my childhood home, I see myself alongside mom in the kitchen, helping to prepare the green bean casserole, peeling potatoes, and adding the final touches to dishes in waiting. I was mom’s sous chef extraordinaire, but even with me by her side, it was always a scramble to get the feast on the island before family started trickling in. We always managed to get it all done before the vast majority arrived…and then it would dawn on us that the turkey gravy had been completely forgotten. With mom rushing around frantically to fix the error of her wayward ways, the kitchen would inevitably enter into full-on gravy boat panic mode. Somehow the gravy was always too thin, and a multitude of women would take a firm stance over the saucepan to determine the proper means of getting that turkey gravy back on track. 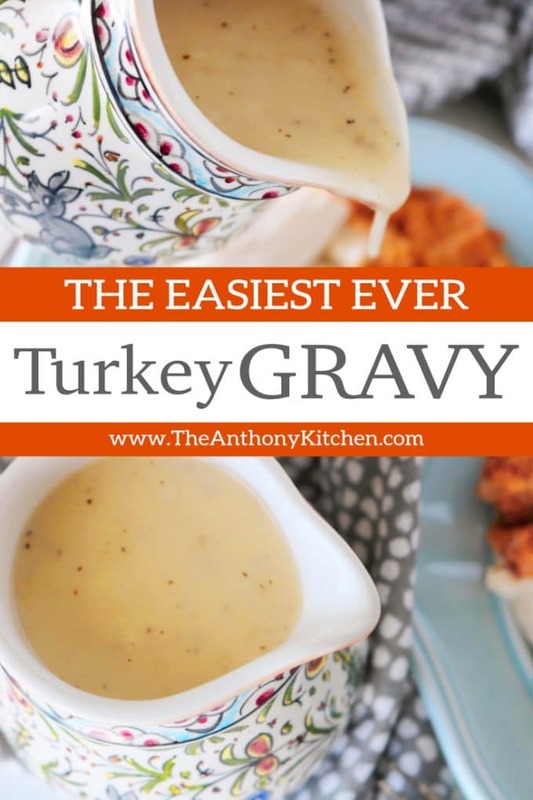 It was for this precise reason I felt it imperative to provide you with a fool-proof recipe for perfect, yet simple turkey gravy. So here we go. This one’s for you mom, and every other frantic home chef running around like a turkey with their head cut off on Thanksgiving day. Making a gravy begins with a roux, which kind of sounds like one of those scary and technical cooking terms, but in reality, there is nothing complicated about it. The first part of this roux is unsalted butter. Butter has a fairly low smoke point, so it is important that you don’t get overzealous when it comes to cranking up the heat. Melt the butter over medium heat, and as soon as the butter has melted, it’s time to add in the flour. Flour is the second part of a simple turkey gravy roux. There is no need to go out and purchase a special type of flour for gravy. We will be working with all-purpose flour, and this will do just fine. Sprinkle the flour over the melted butter, grab your whisk and get to work. Once the flour is mixed in, let it cook for about 1-2 minutes. See how easy that was? You just made a roux. Now, we move on to the broth. Remember how I said this was going to be a recipe for simple turkey gravy? Well, I meant it. We aren’t chopping up turkey innards or boiling gizzards, or whatever else crazy black kitchen magic my mom used to concoct on Thanksgiving day. No, we don’t need it. Instead, we will be going with plain Jane, unsalted (or low-sodium) chicken broth. 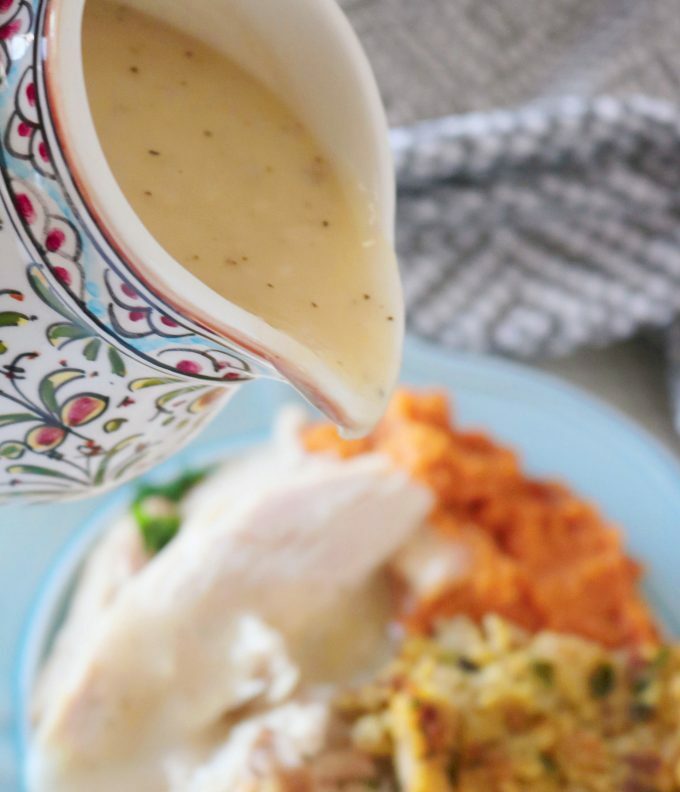 Between a high-quality broth, the salt, and pepper, I promise you, this is all that is needed for a delicious and flavorful turkey gravy. This, folks, is where my special, secret weapon technique for no-lump gravy comes in. Rather than slowly and continually streaming in the broth like almost all other recipes I’ve seen, we will rather add the broth a splash at a time, whisk until smooth after each splash and then, do it again and again. You repeat this process until the mixture begins to resemble pudding, at which time, it is safe to start slowly streaming in the broth, whisking all the while. All that’s left now is to season and simmer. Allow the gravy to simmer and thicken up, giving it a loving whisk just every so often. It should take about 5-7 minutes for the gravy to thicken. First of all, don’t panic. Second of all, always have extra unsalted chicken broth and room temperature butter on standby on Thanksgiving day. They come in handy for so many things, including gravy errors. 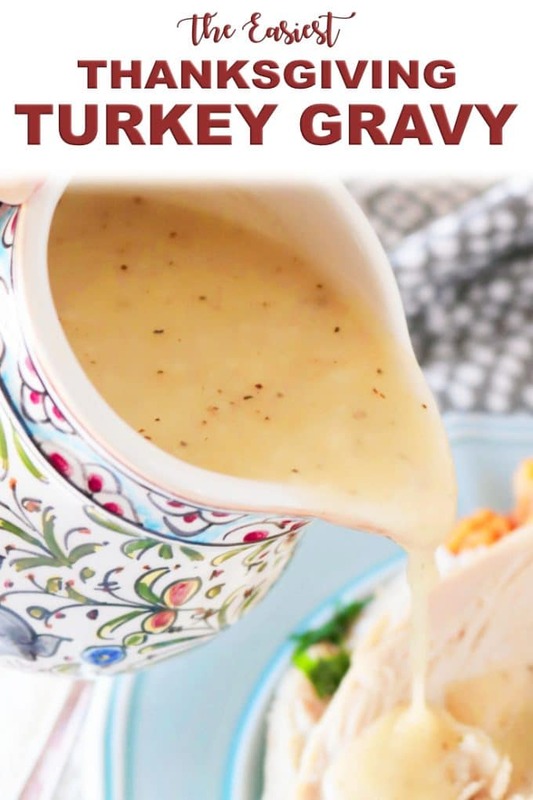 If the gravy is too thin, simply add one tablespoon of all-purpose flour and 1 tablespoon of unsalted, room temperature butter to a bowl, and mix with a fork, or a whisk, until combined. Then, add the mixture to the gravy and whisk until smooth. Allow the mixture to come to a simmer, let that go for a few minutes and watch it thicken. 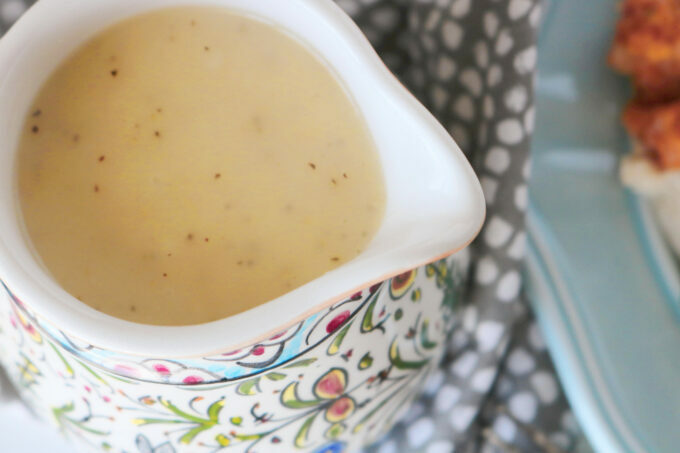 However, if the gravy is too thick, this is an even easier fix: Remove it from the heat and stir in chicken broth one tablespoon at a time until it has reached the desired consistency. 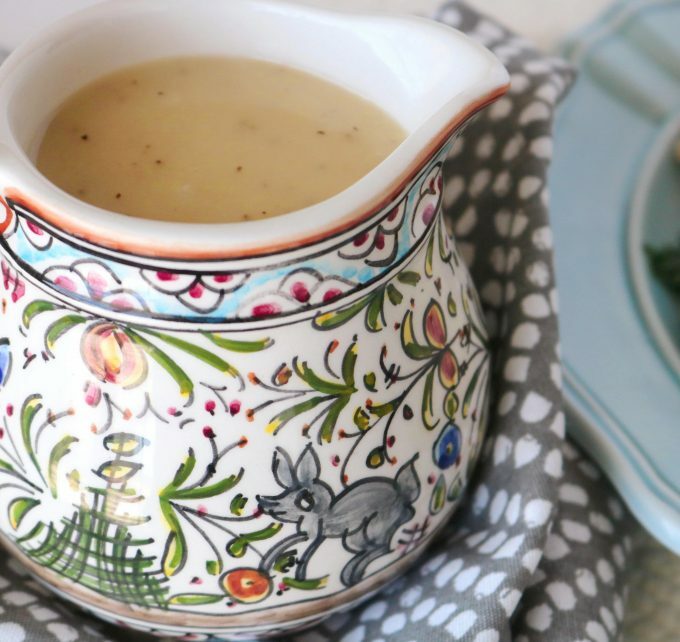 This is a fool-proof, simple gravy recipe sure to steer you clear of any last minute Turkey day drama. It smothers turkey with a “just right” consistency, tastes great and whips up fast. Serve it over perfectly succulent, Oven Roasted Turkey, Southern Cornbread Dressing with homemade cornbread and fresh herbs and creamy, buttery Mashed Potatoes, all of which were practically made just to be smothered by your turkey gravy. Add the butter to a saucepan over medium heat. Immediately after the butter has melted, sprinkle with the flour and whisk to combine. Allow to cook for 1-2 minutes, whisking often. Begin adding the chicken broth a splash at a time (about a 1/4 cup), whisking well after each addition. Once the mixture begins to resemble a pudding-like texture, you may begin streaming the remaining broth in slowly, whisking all the while. Once all of the broth has been incorporated, whisk in the salt and pepper. Raise the heat to medium-high, and allow the gravy to simmer for about 5-7 minutes, until thickened. 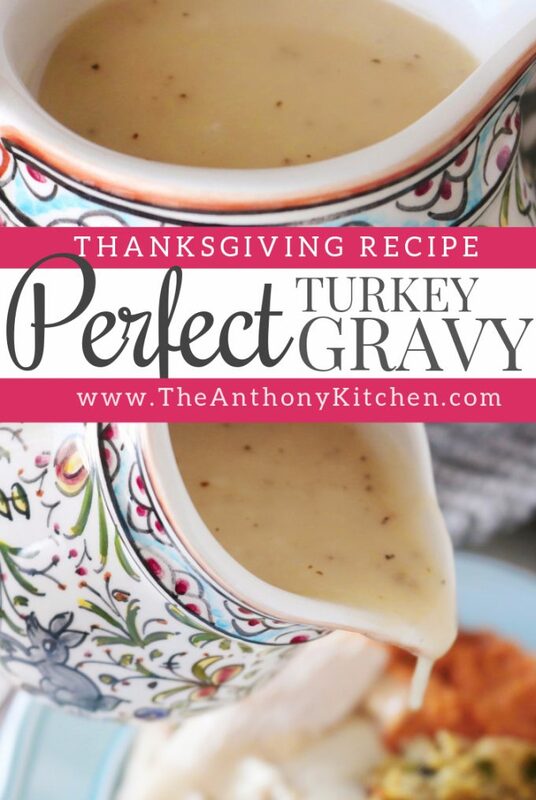 You can make the gravy 1-2 days in advance! 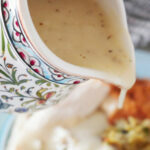 Simply make the gravy as directed, allow to cool, transfer to an airtight container and refrigerate. Just before you intend to serve the gravy, microwave at 1-minute intervals until heated through. 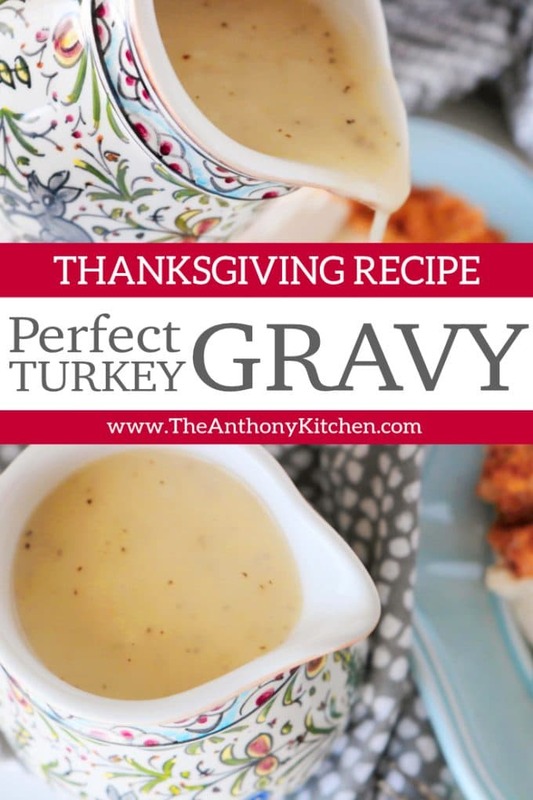 If the gravy is too thick, add room temperature, unsalted chicken broth 1 tablespoon at a time to the gravy, whisking after each addition, until desired consistency is reached. This looks amazing! Got to have no lump gravy. Thanks! Ha! Agreed 😉 Thanks, Matt! So simple and delicious! Need to try! Pouring this gravy on everything, possible straight into my mouth! I love gravy! Looks so delicious and perfect for Thanksgiving!